Could this be the year that the National Conservation Law is passed and Cayman's natural environment is protected? With the support of Minister Wayne Panton and Governor Helen Kilpatrick, Cayman's environmental future holds promise. 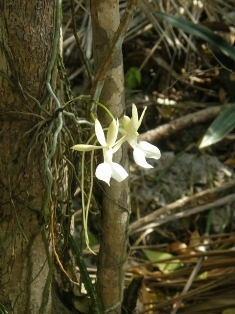 For over 10 years, Department of Environment Direction Gina Ebanks-Petrie has long hoped the National Conservation Law would come to pass, warning that Cayman's unique endangered species could disappear without proper protection. The department offers its opinion to the Central Planning Authority when it comes to major developments, but recommendations are mostly ignored. The DoE has also completed consultation on the enrichment of the Marine Parks legislation. After 25 years of successful legislation, the need to increase this protection of our local marine environment remains critical as precious coral reefs, mangroves and fish stocks are the primary draw for the overnight tourism market. Minister Wayne Panton has been a leading member of the National Trust for the Cayman Islands for many years, coupled with a new governor providing her support and commitment to the environment, local conservation groups are encouraged this could be the year that government shows their support and value for Cayman's natural assets.